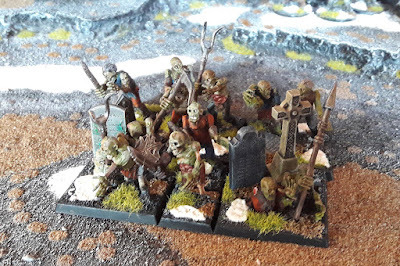 Anyway, I'm aware as you may know if you've seen my earlier post where I showed the Zombie unit I've built that Undead/Vampire Count armies are very much "Hordes" and as such require a very large number of models. 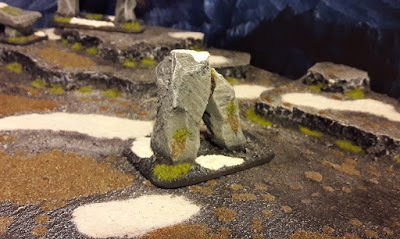 Regular viewers of my blog will also know that I'm a cheapskate skinflint. As such I didn't want to just spend money hand-over-fist on making millions of Zombies/Ghouls/Skeletons etc. 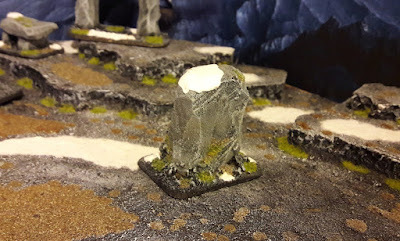 but wanted to play a little, make something that looks a little different but still achieves the objective. 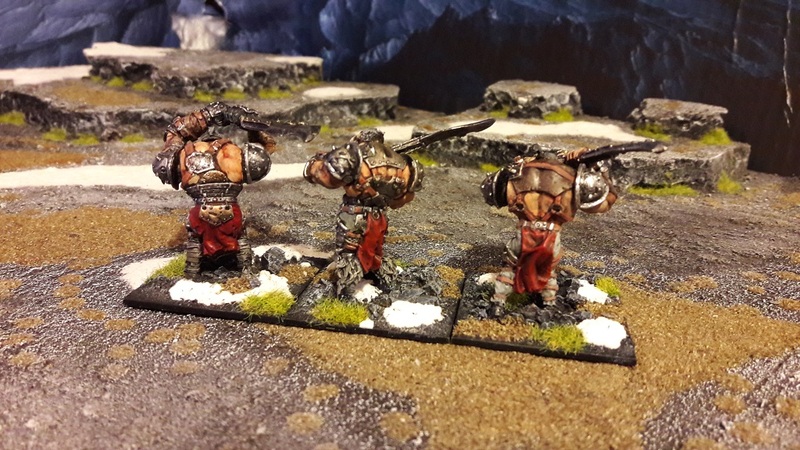 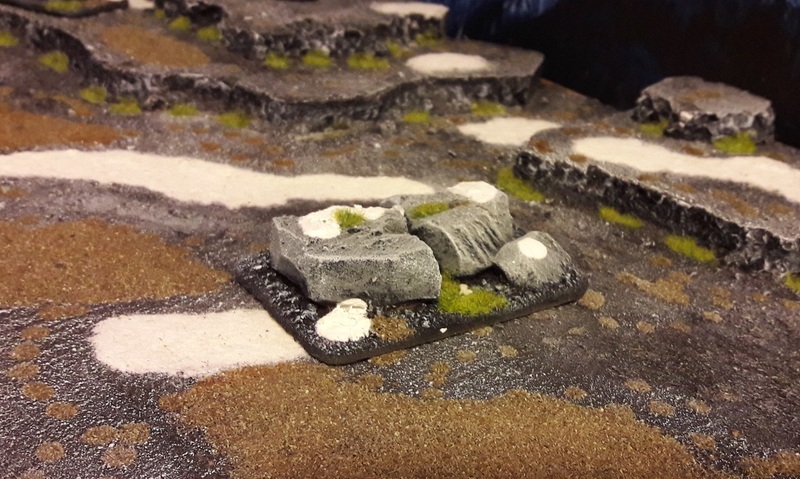 I decided to have a go at building some unit-fillers - bases that don't contain the regular model-type for the unit but that can be used in many places to bulk out a unit. 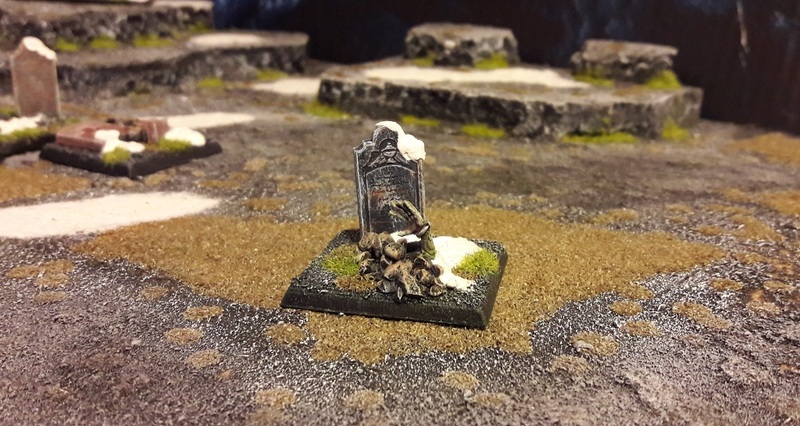 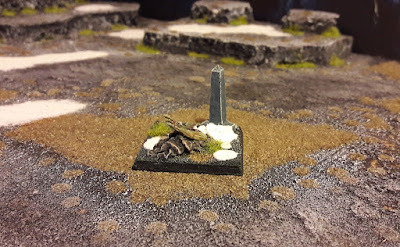 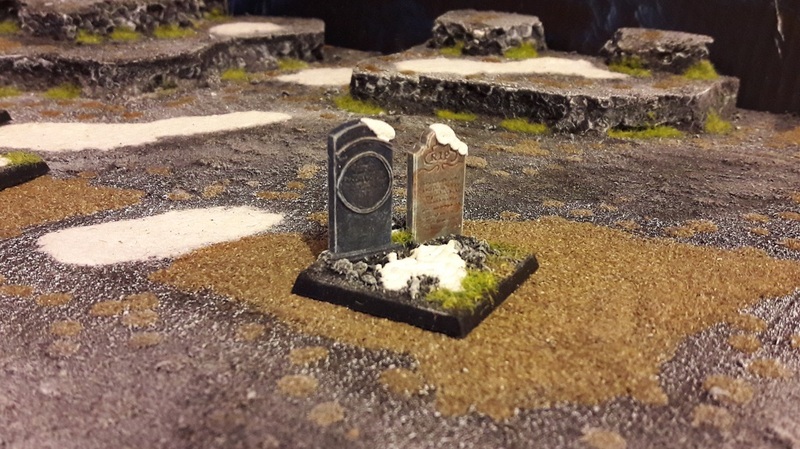 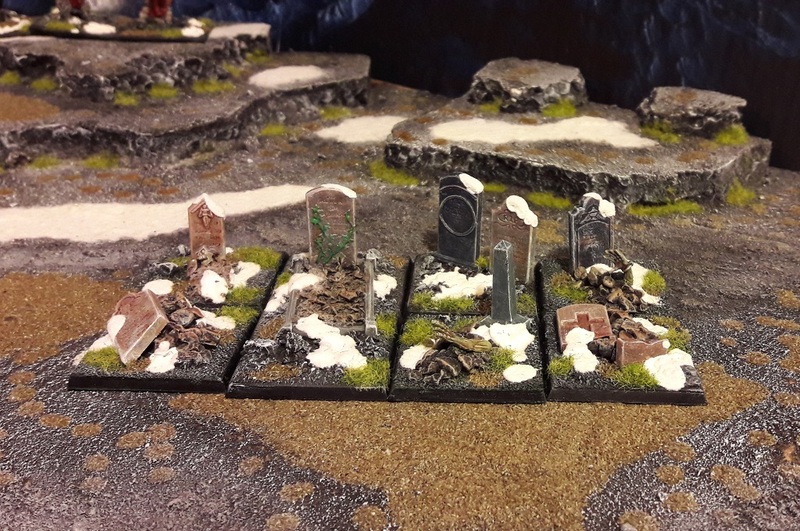 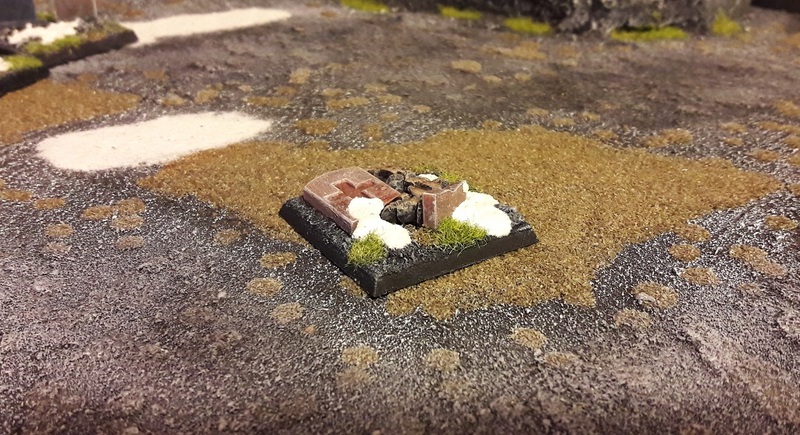 A bit of googling led me to some inexpensive grave markers made by Renedra - I bought a couple of sets and have used some here, I will use more to bulk out other units (I'm thinking Ghouls) and more still are being reserved for a scenery piece I have started working on. It occurred to me when I'd finished that I could also use these as Objective Markers. 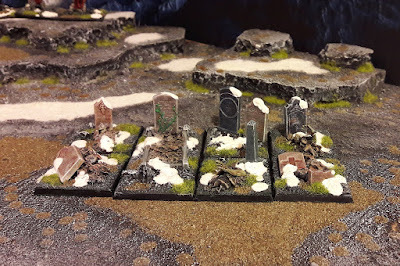 And found I had an impromptu graveyard! 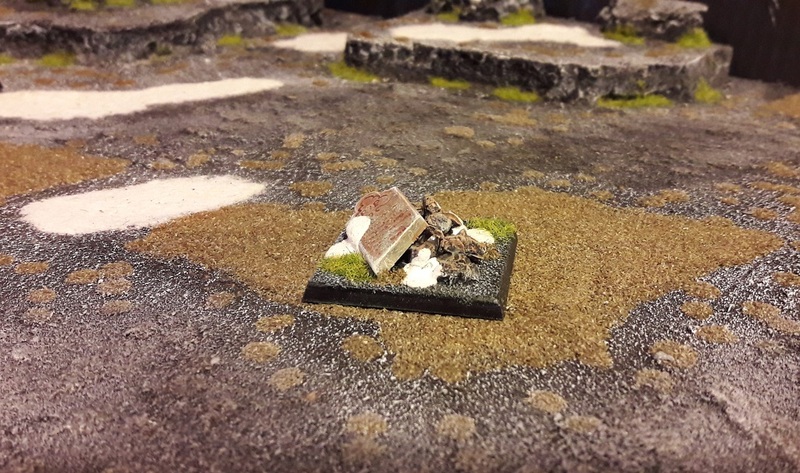 Now that's how you get your money's worth out of a small purchase and a quick bit of painting! And before any of you post "but the monuments have Christian symbols on them and that's not right for Warhammer/Kings of War", please be aware that I don't care. 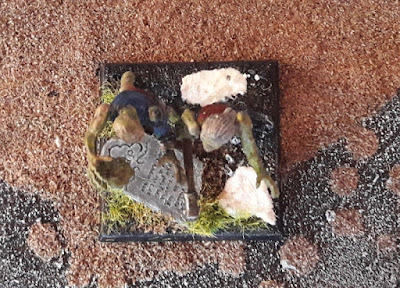 It's a game of toy soldiers, not a way of life/religion in itself. 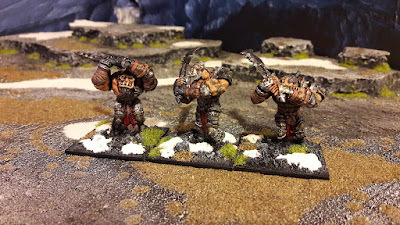 I've completed a second unit for my Mantic Ogre army. 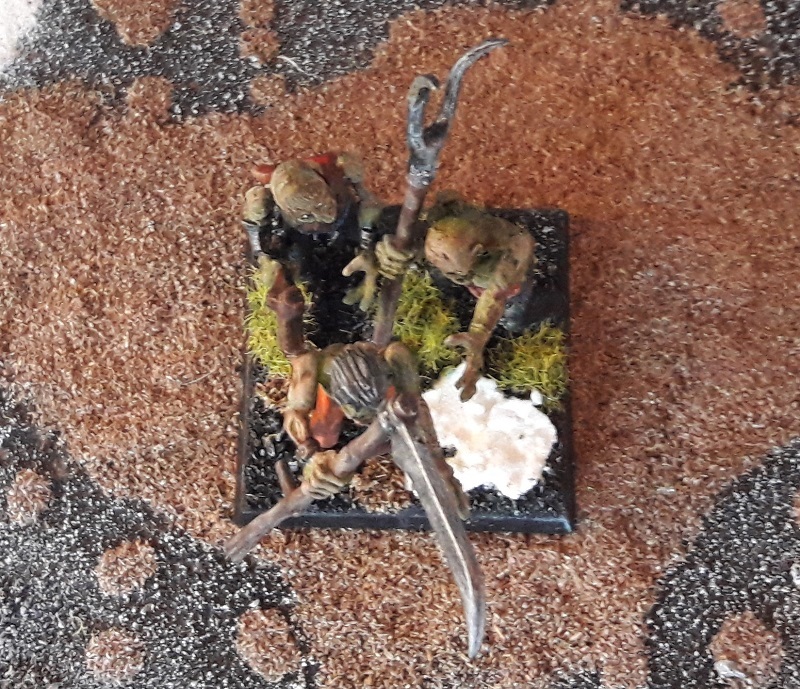 I'm mentally debating what to paint next - either a unit of Red Goblins or some Shooters (Crossbowmen). I was working on a scenery piece to accompany my Warhammer Vampire Counts. 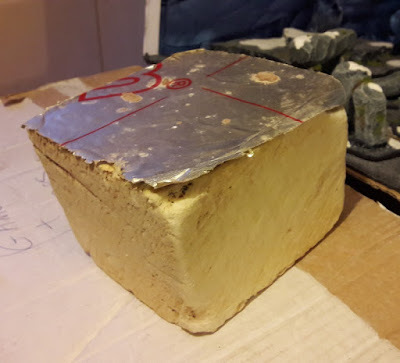 It requires me to use a material I've not worked with before which is simply a chunk of building insulating foam that I wombled from a nearby builder's skip. 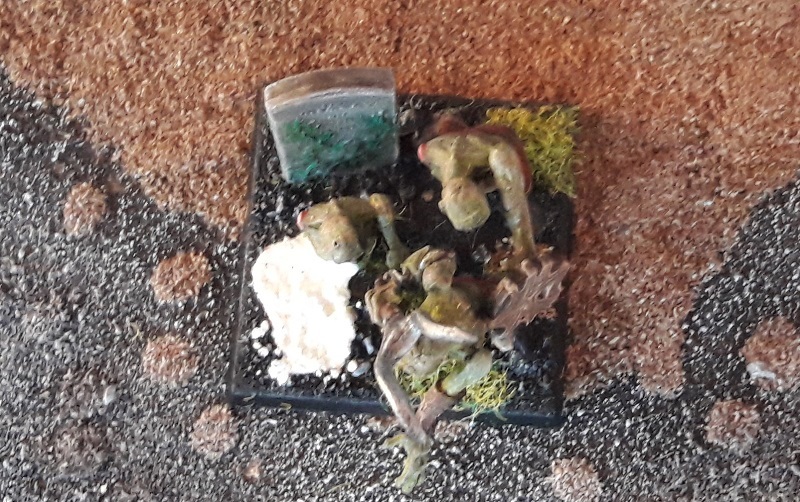 "Reduce, re-use, recycle!" as Bob the Builder might say. 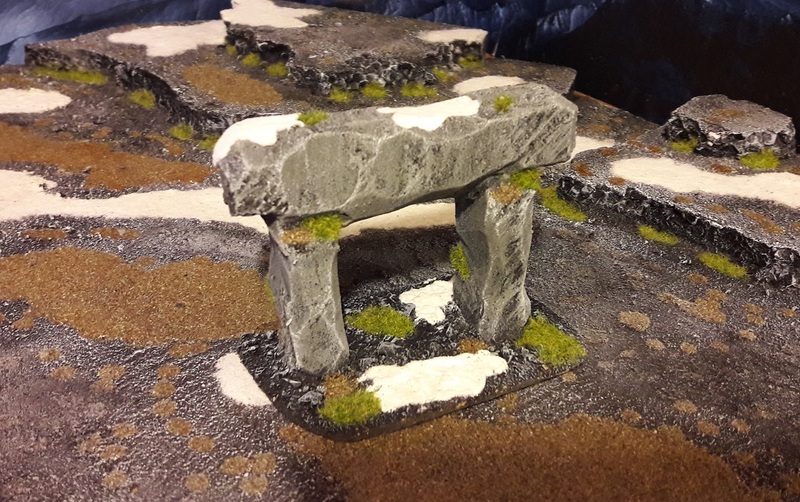 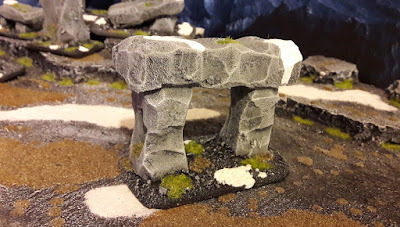 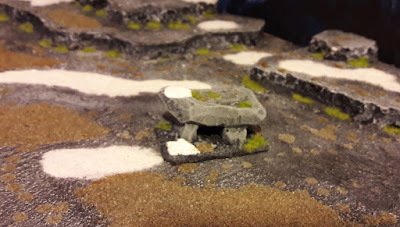 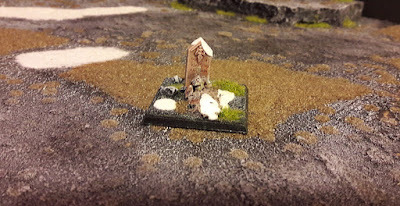 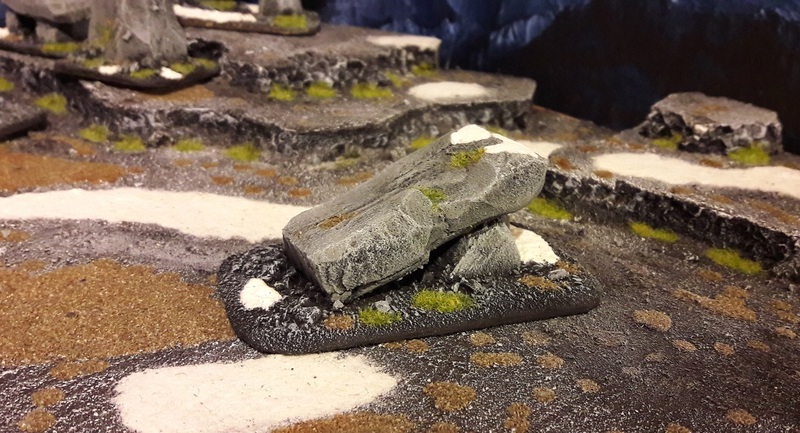 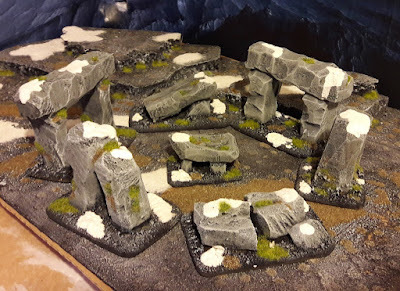 Since I'd not worked with it before, I decided to practice my making something that was going to be a bit more forgiving of errors than the piece I'm planning for the Vampires, so I decided (as I'd just finished working on some Dark Ages models) to hack out a quick Stone Circle - a mini Stonehenge. I created seven individually based items that can be used in different configurations or even just as objective markers, depending on the scenario being played. Hi all, and a happy 2017 to you! 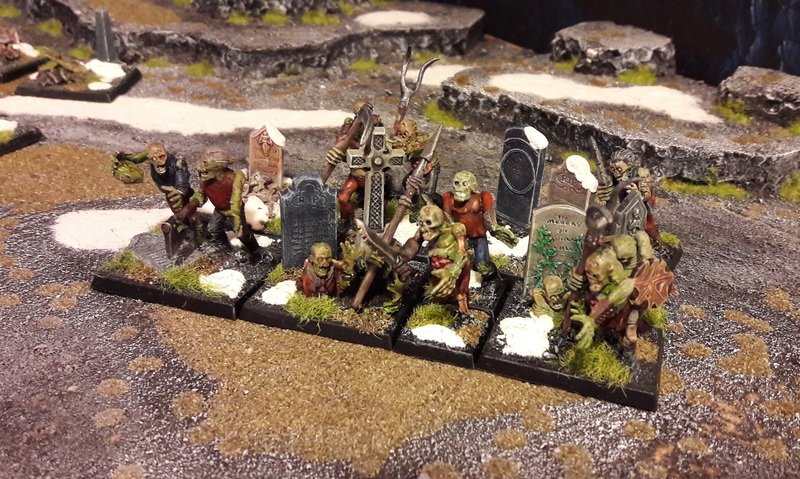 I've been working on a few models over the holiday period and have (among other things) completed a unit of twenty zombies for my Vampire Counts. I actually cheated a bit. 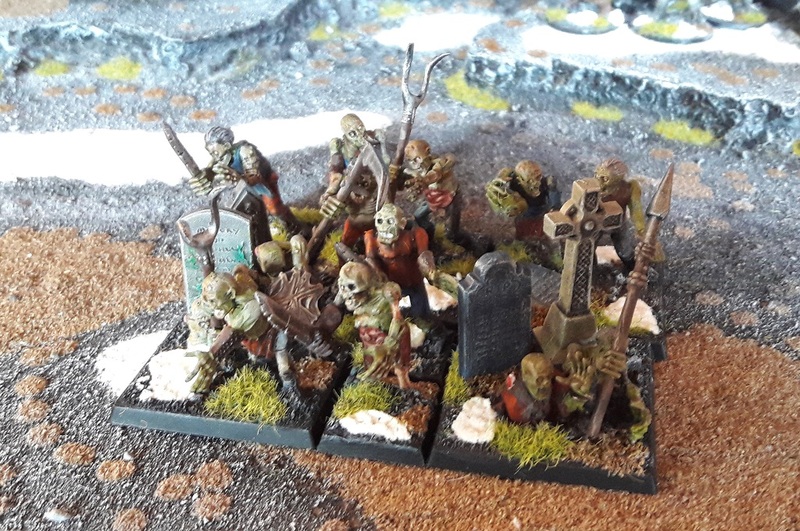 I did an audit of my zombie models and found that I had just over sixty models. 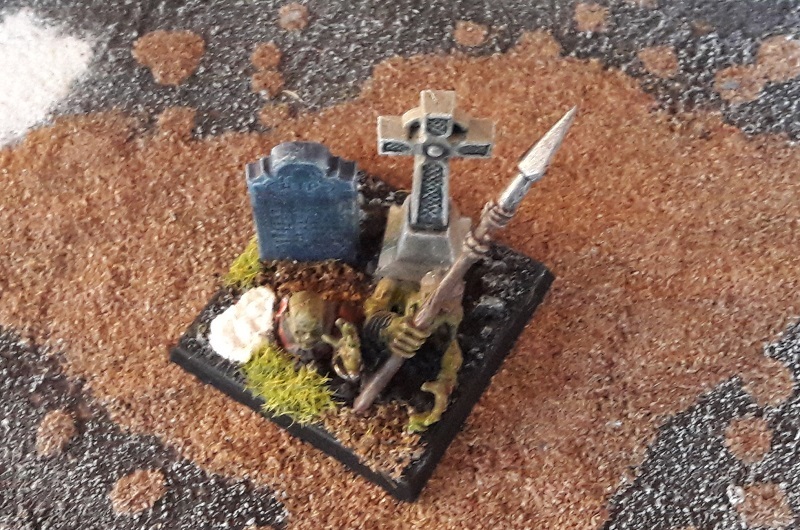 As one of the games I'm playing at the moment is "Kings of War" which has fixed unit sizes of 10, 20, 40 or 80 models, I wanted to bump my model count up to 80. 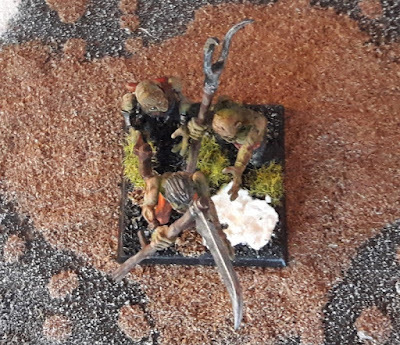 I also wanted the zombies to look a bit more "shuffling mob" than "regimented soldier" so I elected to use a mixture of 20mm and 40mm bases, but to not fill the 40mm bases but instead to put just two or three models on them and fill spaces with grave markers (by Renendra, in case you're interested).